I am always in awe at the many ways I see TFT being used to help create a better world. It is so fulfilling to see those we have trained over the years, going on to develop projects that are having an impact on others around them; projects that can have far-reaching effects in our world for years to come. I want to start this new year by recognizing two groups of TFT practitioners and trainers who are making a difference. The first group is our Rwandan trainers who have taken TFT into the Rwanda Prison and Correction system. They have been asked, with our support, to train the country of Rwanda’s entire prison and correction system. Can you imagine what a model this will be for other countries around the world. The healing of an entire prison system, both the staff and inmates. The first prison training day took place in November 2016. 2. To provide TFT training for the board and different prisons psychologists, social workers and staff from the prison of Kigali, (1930), Kimironko, Bugesera, Musanze and Miyove (Gicumbi). 3. Creation of TFT groups in every prison and correction Center. 4. Using TFT as the model of trauma healing and bringing people to peace, unity and reconciliation. 5. Using TFT as a technical practice of eliminating toxins and drug addiction in the prisoners. 6. To provide regular training, monitoring and follow-up for the trained TFT therapists in the prison and Correction centers. 7. Implementing the projects of teaching TFT to the prisoners and treating them with TFT using their groups. This will be a proven model for healing in the prisons and correction systems of any country. If this can be implemented in a country such a Rwanda, it can be used anywhere to begin healing at a much-needed level of humanity. You can help us make this project happen. We are raising the funds to support this project throughout Rwanda. Please help the TFT Foundation and contribute to this project. It can be so far-reaching, demonstrating what can be done in any country. At the other end of the spectrum, a group of our TFT Practitioners and Trainers in Sao Paulo, Brazil have developed a project: Corporate Consciousness “A New Vision, A New Society and a New Era”. The Corporate Consciousness® Program arose from an ideal created by a group of partners and professionals that are aligned with the same value, life purpose and mission, whose integrated vision seeks the well-being of as many people as possible, as well as communities, corporations, intuitions and society as a whole in a conscious world and better to live. They use many of the tools we, as TFT practitioners are familiar with and use, tapping, scale of consciousness, yoga and High Tech Meditation. Where Can You Acquire the Tools to Help Create Peace In Your World? The above individuals all were trained and greatly inspired with the results they found they could deliver in their world. They could actually help transform others, from individuals to companies and communities up to an entire country. We can all do the same. Join us at our next Optimal Health training, the same TFT skill level that the Brazilian team share. Or, join us for a Boot Camp and learn what they are teaching in the Rwandan prison system. We can all learn and then share our skills to make our world a better place. Let these individuals inspire us all. If you were asked what the major cause of death and disability is globally, you would probably guess heart disease — and you would be correct. But did you know that the World Health Organization (WHO) has estimated that posttraumatic stress will be second only to heart disease as the cause of death and disability by the year 2020? That means that by the year 2020, approximately 780,000,000 men and women globally will be suffering from posttraumatic stress in any one year. Right now, one out of 20 men and one out of 10 women in the world is suffering from posttraumatic stress. Posttraumatic stress not only affects individuals, it affects families and entire communities. And we are just talking about posttraumatic stress; there are so many other mental health issues that confront individuals throughout the world. As TFT practitioners, we know from our research and experience, that there is no more efficient and effective way to tackle mental health issues than Thought Field Therapy. But the number of Thought Field Therapy therapists throughout the world is limited; and there are only so many individuals and families that one TFT practitioner can treat. It is imperative, that we begin an effort to teach more TFT practitioners to teach others to use our proven Thought Field Therapy Techniques, through humanitarian outreach. The WHO met in 2009 and addressed the problem of what to do after man-made and natural disasters. They concluded that in a world of high need and few trained professionals, para-professionals need to be trained to fill the gap, referring only those who couldn’t be helped by the para-professionals to available professionals. Your TFT Foundation is constantly making an effort to spread TFT for humanitarian purposes. Your TFT Foundation has developed a method of treating trauma after large scale disasters that has been tested and refined throughout the years in Haiti, Tanzania, Mexico, Kuwait, Japan, Uganda, Rwanda, Burundi, South Sudan and the Democratic Republic of the Congo. This method has also been researched, and three randomized control studies have been published. You can learn this method and its protocol during a one-day intensive before the 2016 International Energy Psychology Conference. Persons receiving this one-day training will learn to train professionals and para-professionals in humanitarian outreach settings and will receive a certification to teach TFT to professionals and non-professionals for humanitarian purposes. They will not be certified to teach TFT, in any way, for fees or non-humanitarian purposes. Please join Suzanne Connolly and many other TFT practitioners on the second of June for this important TFT activity. To quote Helen Keller, “Although the world is full of suffering, it is full also of the overcoming of it.” Be part of the solution and join us in Santa Clara. Suzanne Connolly, LCSW, LMFT, has trained over 2,000 people worldwide to use TFT and to integrate TFT in clinical settings. Her presentation venues include Rwanda, Israel and Kuwait. (www.tappingtft.com) Suzanne Connolly is a member of the TFT Foundation Board. Would you like to get trained in helping communities heal after disaster? Would you like to learn more about using TFT in humanitarian settings? Join us for the 18th International Energy Psychology Conference in Santa Clara, CA from June 2-5. Suzanne will be offering a full-day training just before the conference where you will learn a protocol for using TFT in communities after large-scale traumatic events. Learn more. An Introduction to TFT — Tapping Basics Online with Instant Access. It’s the perfect place to start for those new to tapping. Can We Feel Better and Sleep Better This Summer? How we feel is directly related to how much quality rest we get. Based on the multiple web statistics for the USA or Canada or Great Britain, “Insufficient Sleep Is a Public Health Epidemic”. The western world seems to have an increasing problem with sleep disorders. So much so, that recent studies in all three countries are calling it a Public Health Epidemic – saying it is “putting our health at risk”. Sleep insufficiency is linked to motor vehicle crashes, industrial disasters, and medical and other occupational errors. A perfect example of this was a feature story on the evening NEWS – a bank employee fell asleep across his keyboard and instead of making an $83 transfer into a retiree’s bank account, he transferred over $2 million dollars. Luckily the bank caught the error and corrected it. But what if he had fallen asleep across the steering wheel of his car, he could have caused a fatal accident. People who suffer from poor sleep are also more likely to suffer from chronic diseases such as hypertension, diabetes, depression, obesity and even cancer. /wp-content/uploads/2019/01/TFTHeaderLogo.png 0 0 Joanne Callahan /wp-content/uploads/2019/01/TFTHeaderLogo.png Joanne Callahan2014-06-13 09:45:162014-06-13 09:45:16Can We Feel Better and Sleep Better This Summer? 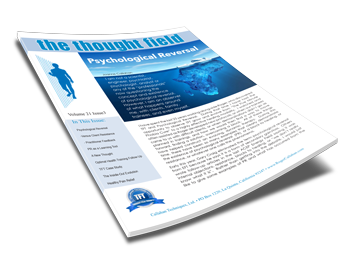 Our last issue of the Thought Field newsletter shared a touching story about a little girl in the hospital dying from cancer, and suffering severe pain. As I was reading it, I thought back about several times over the years, that Roger would work with a cancer patient, who, like this little girl, was in severe pain, in spite of the morphine drips and heavy medical pain killers. As I thought about the many instances over the years that we have provided pain relief for someone, where nothing else had worked, I was reminded about what a powerful and simple tool we have to help chronic pain sufferers. A quick internet search helped me quantify the number of people and conditions daily burdened with physical pain.